A simple cup of tea houses within it a world of complexity. Tea varieties are diverse and magnificent, each providing a private sensory oasis of flavor to contemplate and explore. Whether your palate prefers the fullness of oxidized black tea or the light body of a white, tea time is a moment to savor the magnitude of subtle details. First flush teas are prized for their delicate body and sweet, floral notes. But, what exactly differentiates the flushes, and why is the first one so coveted? Flushes are harvest seasons. The temperature and rainfall during each period impacts the constitution of the leaves. Camellia sinensis, the plant responsible for all of our beloved steeps, is an evergreen perennial. Evergreens retain their green foliage year round, but react to each season differently. Tea plants have a productive lifespan of 30 – 50 years, though plants as old as 120 have been reported. Each year there is a period of dormancy in winter time, as temperatures begin to drop. Spring time brings fresh foliage, and this new growth is the “first” flush of the year! Teas from India are strictly labelled under a grading system to identify quality. They are sorted for leaf size, age, and wholeness. “Orange Pekoe” doesn’t contain orange at all! An orange pekoe tea is a medium-grade black tea, or what we might consider a standard tea. The more letters on the acronym, the higher the quality and care of the tea leaf. A STGFOP is the highest grade, consisting of only the finest, hand-picked leaves. This long acronym stands for Special Tippy Golden Flowery Orange Pekoe. 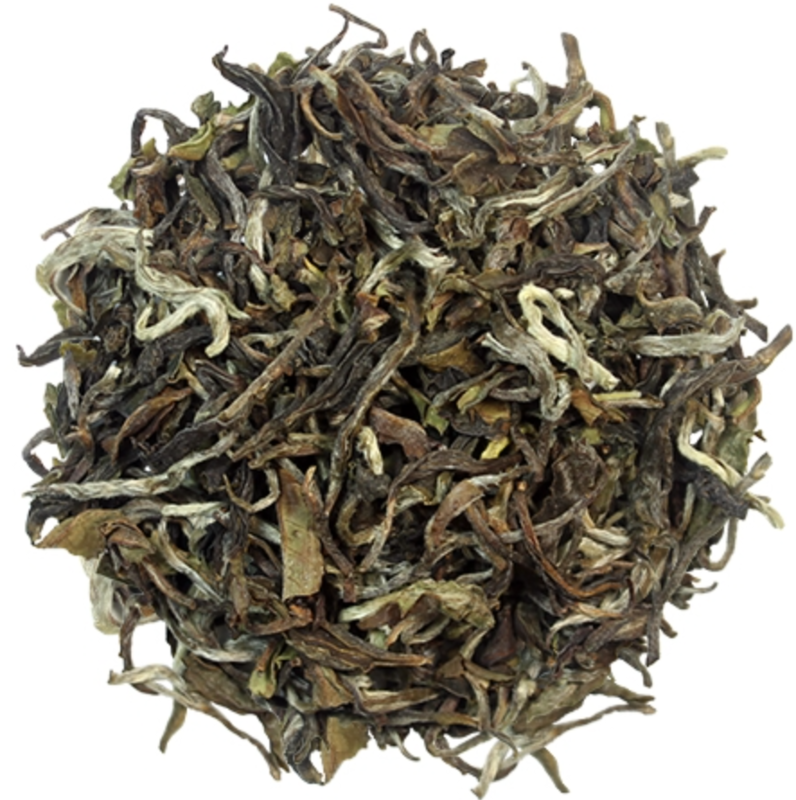 A first flush STGFOP Darjeeling will appear much lighter than a traditional black tea. Tea companies have a tendency to list Darjeeling teas under the black tea category. Yet, the leaves are uniquely processed with varying oxidation levels. One batch can contain leaves oxidized anywhere from 30% to the 100% typical of a black tea. Due to this variation, these teas are best brewed between 175°F and 185°F for two minutes. The tippy buds can be sensitive, and oversteeping or burning the leaves will release tannins that impart a bitterness to the brew. Adding sweetener or milk is not recommended for first flush teas. Taking into consideration the mellow nature of the flavors, it is best enjoyed unadulterated. The nuanced flavors of first flush teas like Capital Teas’ Glenburn Reserve offer an exploratory mission of the taste buds. Each sip imparts a smooth, buttery mouthfeel. When steeped properly, a slight, sharp astringency provides a gentle contrast to the full, creamy body. Braided within these tones, floral flavors emerge. The resulting experiences is layered and intricate. It must be this brightness that earned Darjeeling its nickname. First flush teas are a real treat! As the weather warms, the plants begin to blossom and delicate floral tones emerge. The diverse nature of a cup of Darjeeling can please any palate, whether your preference is for dark breakfast teas, or light greens. The artisans who craft these teas work with nature to provide complex varietals with unique attributes. In celebration of spring, why not toast with the champagne of teas? 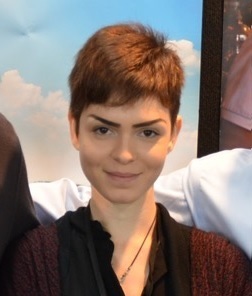 Paloma is a health and wellness writer. A tea nerd and certified yoga instructor with a hippie heart and an analytical mind, she seeks to uncover the logic behind the good feels. Having worked a variety of jobs in the tea and yoga industries for over 7 years, she’s picked up a little bit of healthy info along the way. She loves to share it and spread the good word!